The California governor is acting like a child and throwing a fit about working with Donald Trump. California Gov. 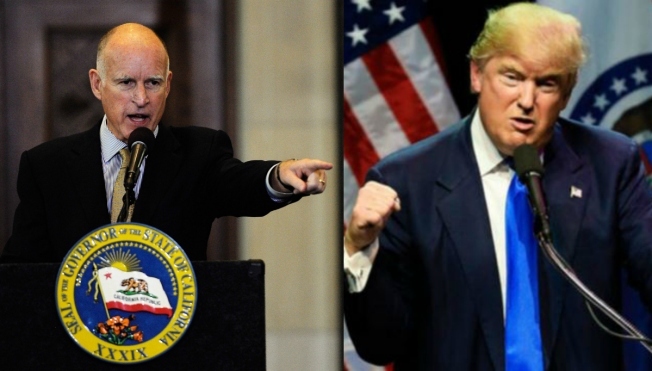 Jerry Brown (D) says California is “ready to fight” President-elect Donald Trump on climate change. “We’ve got the scientists, we’ve got the lawyers and we’re ready to fight,” Brown said during a heated speech Wednesday night to the American Geophysical Union in San Francisco, the Los Angeles Times reported. Brown seized on comments from a top Trump adviser, who said the incoming administration plans to eliminate NASA’s earth science programs. That would end the use of satellites to gather climate information. “If Trump turns off the satellites, California will launch its own damn satellite,” Brown said.